agree. turn off post-processing and lower world detail. I have to do it as well. Fun race. Crashed out while trying to catch Bunta at the first stint and had a pretty bad car until first pitstop. At second stint I gambled on making 9 laps on softs and luckily it worked out. Repeated this for 3rd stint. At the end of the race i started gaining on bunta again but i was not fast enough. I had my teammate Kost behind me as well so I really felt the pressure to the end. I’m in. I guess I’ll team up with Church? im in. i prefer a dark skin. great video. just a tip: in assettocorsa\system\cfg\name_displayer.ini set DRAW_FOCUSEDCAR=1 to also view the name of the car you are spectating. Raven and Coret3x has teamed up for this season. This was enjoyable. Had many problems but overall this track combined with watching F1 race today gave me a very nice weekend. I hope that we sync up more races to the same track as F1. 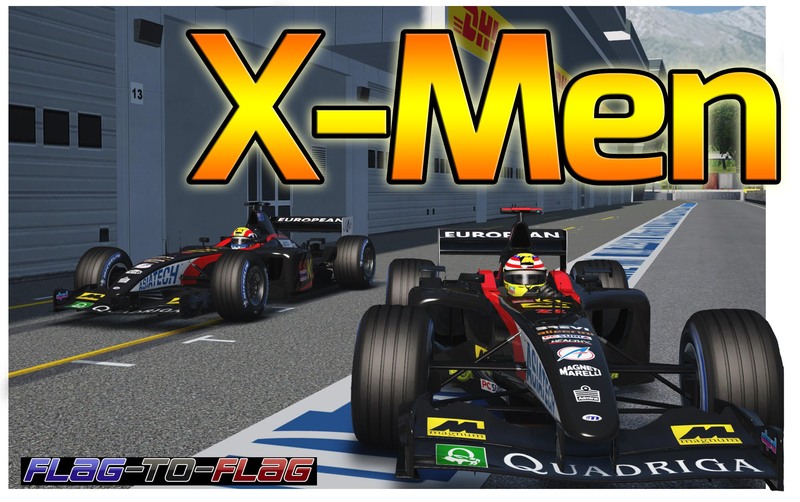 I ran this race using hards, mgu-k 6, hotlap mode and engine brake 12. Tried my Spa setup and modified it a bit, but the car did not handle good for this track. My high engine brake helped me brake late, but that unfortunately made me brake into people, far too late. Sorry guys. I think that requiring at least two different compounds for a race could be the max requirement to add. why not use your phone for internet? I will win if all other drivers crash out! Place your bets! i think that actually is somewhat a bug. not sure what happens but the server waits for everybody to finish their qualify lap within QUALIFY_MAX_WAIT_PERC defined in server config. Sometimes this just fails and the server thinks it has to wait a very long time. I don’t know the config of that server but I think there still was one car that could set a better time even during the 5 extra minutes as the server was thinking that a car missed the qualify time. 2. In example, I have Button 6 set to DRS. Under [DRS], change BUTTON=6 to BUTTON=-1 (-1 is disabled). When you want DRS re-enabled, just change it back. watched it from behind, galin. your crash secured my 3rd place :) i think you both could have been a bit more careful but it’s rather hard to be careful ‘in the moment’. so what rules? is refill allowed? Congrats Emil! Great driving this season! I’ve now received these and the chair now sits still during race. very cheap also. great driving dude. no large mistakes and good pace. Thanks :) I also have this chair sliding problem. I have to move myself a bit each 5-6 laps. What kind of chair? I searched ebay for “rubber chair protector” and found some items that might help. I’ll order and see if they are any use. looking forward to this race! I hope people will take care in T1 :) have a hard time getting laptimes below 1:22,7. I lack setup knowledge. Tried mixing a setup yesterday and ended up with crazy handling that just left me off-road. pitconfig now works after doing a change in config. This was very fun. And this oculus stuff had a great impact on my racing. Unfortunately, I did not test PitConfig before this race. It turns out that it does not work. So at first pitstop I messed around with my mouse which is kind of strange in Oculus. Then on my second stop I forgot to add tyre change, so I had to pit a second time for tire changes. I did not click for repair damage this race, as I have completely forgotten where to click after running PitConfig for ages now. Then my last stop was kinda fast, just loosing like 3 seconds on my last stop compared to pitconfig. This race was very fun and exhausting, both from pit clicking and the oculus immersion that really makes me feel exhausted from a race. :) I’m sure I’ll get these problems solved by next race somehow. Congratulations to all top drivers! It was fun! after racing for a day I conclude that for fast cars like F2002 this is a big advantage. Go and buy at Oculus.com . They won’t charge you before they send it so you can save money while you wait. could the practice server have constant grip? its hard to compare setups when the grip differs from 98 to 100% grip. that’s a lot. Well well, I think this was an awesome race and I had great fun. I’ve uploaded my POV: https://youtu.be/UnsGlqnJWLA (Sorry I dont use a virtual wheel so it’s not that fun to watch). Team X-men has planned some practicing on thursday, 21-23 amsterdam time. would be nice if more people joined up! btw did some testing and tire heating seems no longer to be an issue. 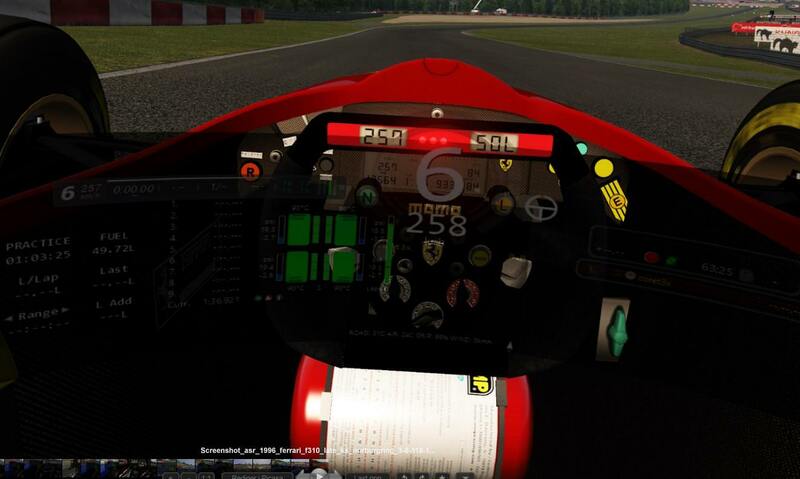 Ferrari F2002 1.2 is out. Please also read this note regarding tires and setups. I’m in! Not sure which skin I would choose..
Post race thoughts: well this went really bad. Was catching up on 2nd place when I discovered I had 120C in my rears and then I lost control. I wonder how you all managed to prevent this heating. Not use to tire preservation in my earlier races :). Can the track temperature be lowered? I have problems running more than 6 laps without the rears getting far too hot. They are getting slippery when passing 105C.